™ 500 series is Engineering grade reflective sheeting with high reflectivity values that match those of BS EN 12899-1:2008. ™ 500 is a glass bead material that is perfect for a wide range of non specified applications which require conformance to the higher requirements of traffic control devices such as fixed permanent signs, temporary road signs and barricade. This product is self adhesive with a pressure sensitive adhesive and poly liner. This product has a five year performance life and is available in tearable Pet and non tearable Acrylic substrate in a range of eight colours. Standard widths available are 1.22, 0.91 and 0.76 metres. Other widths are available upon request. For more technical details such as adhesion, application, storage etc please download the M-Lite™ 500 product sheet. 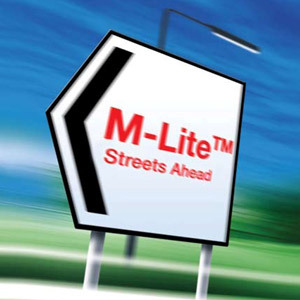 The M-Lite™ application manual provides Information on product usage and is available as a download.